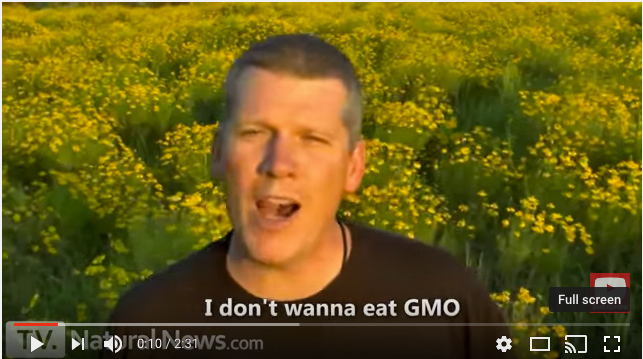 Natural News founder Mike Adams is vehemently opposed to products that contain genetically modified (GMO) ingredients, so why do we once again find him selling GMOs? 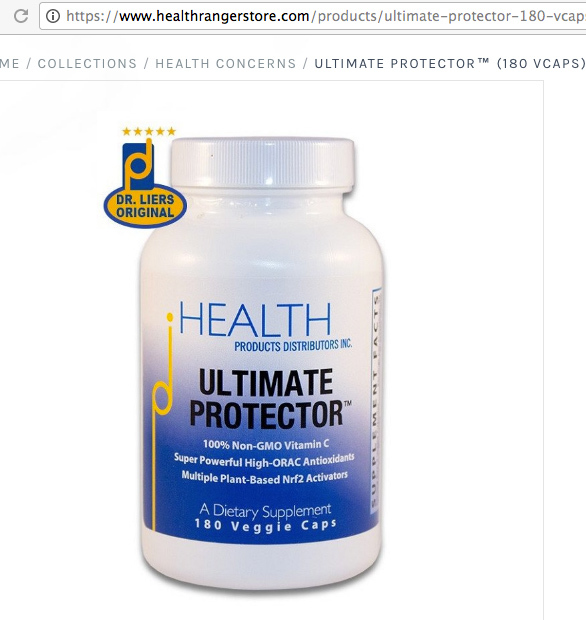 Consider, if you will, Ultimate Protector, made by Health Products Distributors of Tucson, Arizona, and offered by Adams’ Natural News online store.1 This “cell protection formula” uses genetically modified black soybeans. 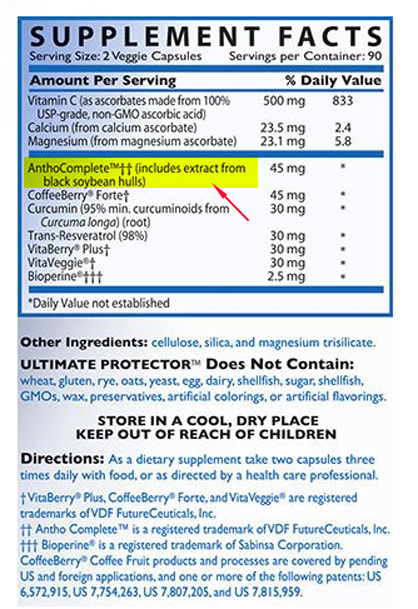 Even though the bottle itself is labelled non-GMO, I spoke with three Health Product Distributors representatives by phone, and again by email, and they confirmed that the company does indeed use GMO soy in several of their offerings, including Ultimate Protector. As my grandma always said, you can’t swing a dead cat in the Natural News market without hitting a product that the self-styled Health Ranger falsely claims will harm you. We already found him peddling GMOs back in July, 2016.2 In that same month, items that (by his definition) contain formaldehyde were found on his virtual shelves,3 even though he links the preservative to brain damage, cancer, and seizures. I used Natural News’ online chat utility to ask the company about their GMO sales, but the representative I spoke with was double parked in the no comment zone. As we all know, there’s nothing to fear from GMOs, and Health Products Distributors (HPD), who Adams unintentionally and falsely maligns through his scientific illiteracy and poor research, should not be penalized because he happens to stock their wares. HPD reps were very open and patient with me during our phone calls and didn’t hold back when answering questions. I’m skeptical of some of the “science” they quoted (such as being able to “strip antigens from the GMO ingredients” before adding them to the mix), but let’s not punish them for Mike Adams’ sins. We can (and should) laugh at Mike Adams’ ridiculous claims about nukes, but what about his fake news that leads innocent cancer patients away from real doctors, and into his den of deception (aka the “Health Ranger Store”). Here, it’s time to get angry. It’s not funny when someone loses a life, but that’s the path down which Mike Adams is leading us. Join me in making 2017 the year of the #NaturalNonsense hashtag: pledge not to share articles from NaturalNews.com, the web’s most blatant fake news web site. This entry was posted in Alternative Medicines, natural news and tagged beauty, gmo, health, health ranger, mike adams, natural news by Mark Aaron Alsip. Bookmark the permalink. If you eat corn, more then likely, you eat gmo’s – – and “corn” is in many many mass marketed food-mimicking products (and it really isn’t very good for humans anyway). If you eat soy, you have the same problem, and then some. You can’t get away from gmo’s, all we can do is “lessen” our exposure/intake as best we can. As for Mike Adams; I don’t buy his marketed products. Thanks for reading and commenting Kenneth. Nice point about corn. Scientifically, there’s no reason to avoid GMOs at all, and that’s the huge point of hypocrisy with people like Mike Adams. He tells you it will kill you, scaring you away from competitors’ products, but then he’ll turn around and sell you the very same thing. one need only look at the mutation of gut flora for clues about the dangers of gmo foods. i would suggest you need to look a little bit further than your present agenda allows. additionally, not sure how anyone can espouse the virtues of gmo foods as the epa is granting waivers for outlawed chemicals to be used on now roundup resistant weeds, or because of the other genetic distortions of natural strains of any crop or other aspects of the environment. just as predicted prior, the weeds have become resistant. maybe you forgot to mention? i am sure i dont have to mention that gmo studies from the industry are quite self-serving. seems your site and echo chamber conveniently forget much of the world forbids usa gmo crops for the sorts of reasons outlined here. it would seem as part of your service to others, and in being in scientific integrity, would offer these tidbits. i will be the first one to agree there is hypocrisy as far as the eye can see, particularly when someone’s meal ticket is involved. as for the gmo proponents, more than their fair share abounds, e.g. monsanto jointly engineers “terminator” seeds with folks like the usda (arent they supposed to protect the public?) so that the plant cannot reproduce thus making the farmer perpetually pay them for seed…and of course all the while the varieties are distorting unadulterated genetics. lastly, you might as a service for your readers you care so much about note that the musk brothers invest in farmland with their very deep pockets – gmo farmland. but interestingly, no, they do not eat gmo’s as a rule. that food is for rest of the worthless eaters, not them. what’s really sad though, is folks like yourself probably do not eat them either…..good luck with the shilling…although i see your site doesnt have much in the way of traffic. I’m not quite sure what article you read, but I finally had to stop reading when I reached the part about “you are suggesting that persons should be quite ecstatic about consuming gmo plants that produce their own glysophate”. I’d be happy to discuss/debate what I wrote, but the first step in that process would be your reading and quoting what I wrote. Fair enough? Lessen our exposure???? Why? They are genetically modified to improve the quality of the organisms. I am waiting for the 🍎 apples! Yeah Mike, you are part of that ignorant cult!